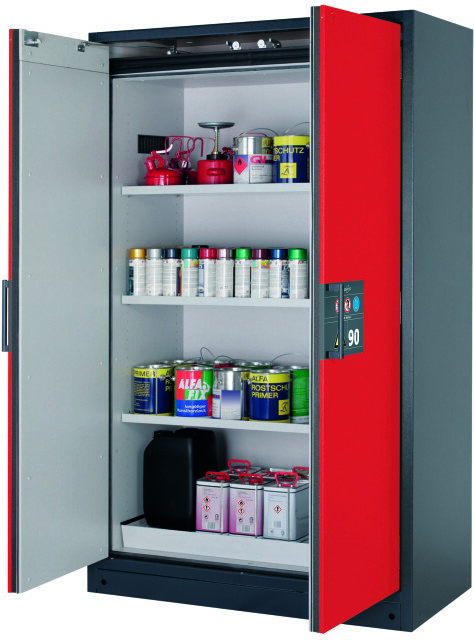 The cabinets are available in three sizes, with optional fittings and wing or folding doors. 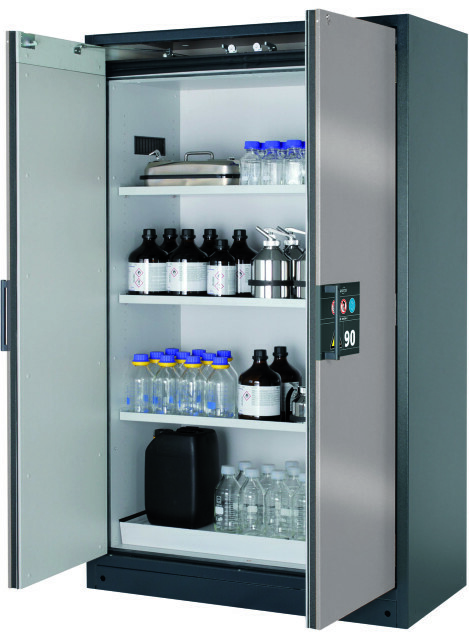 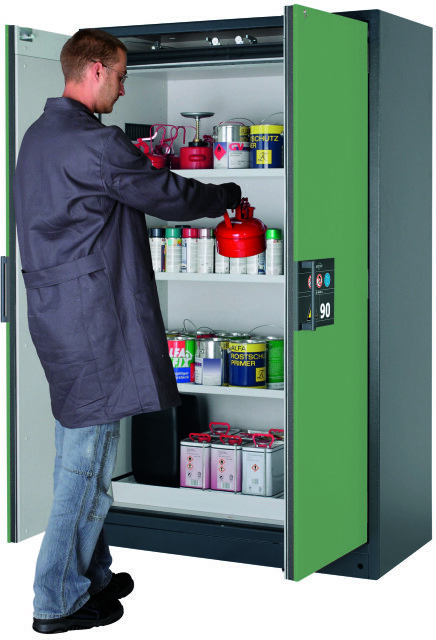 They are ideal for both industrial or laboratory use as tall or underbench cabinets, e.g. installed under fume cupboards. 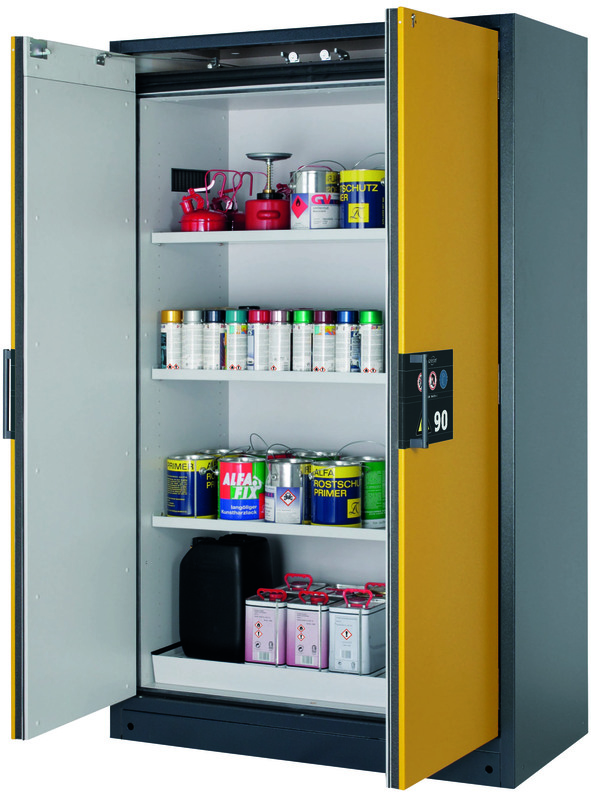 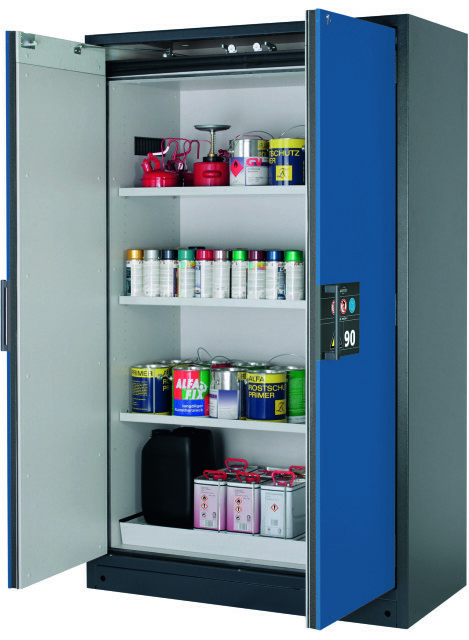 Every asecos safety storage cabinet can be connected to a ventilation system if required.